11/1/14 - 12/1/14 ~ . I would like to thank you one and all for your generous financial as well as volunteer support in HUDHUD Relief activity in Vizianagaram District. We have donated the following items to each family which approximately cost 1200/- Per family. 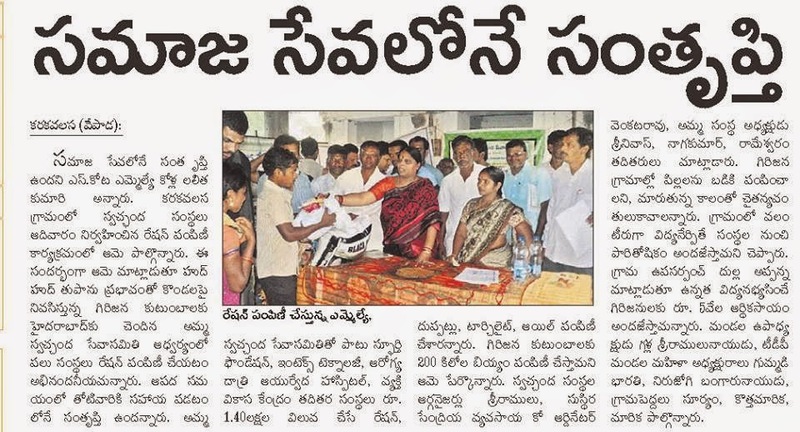 We have donated to 4 Tribal villages of Vepada Mandal, Vizianagaram District. Actually we planned to distribute in 2 tribal villages names Marika & Patha Marika which are far located on the hills and 10Kms walk to reach those villages without any transport facility. We completed the distribution at nearest village where transportation is available i.e. Karaka Valasa Village. 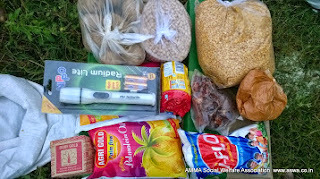 We also conducted Food Distribution to all those villagers on the same day along with distribution. We have purchased 10 sets etc to meet any unexpected help requests. But after distribution in the above 2 villages we left stock which can accommodate another 35-40 Families. So we went to another 2 nearest tribal villages, which is already verified and in our 2nd list. Our special appreciations to ANIL & RAMESWAR from INTENSE TECHNOLOGIES. Mr. Rameswar walked all the way (10 Kms up and 10 Kms down) along with ASWA Volunteer Mr. Mohan Naga Kumar & Naga Babu to verify the villages. Their efforts in verify villagers allowed us to make sure that our every rupee is donated to the most needy & poor. Mr. ANIL (Intenese Technologies), Dr Sundar, Nitesh, Venkat Rao & Mohan Naga Kumar verified as many shops and rice mills to get the material at lowest price. Their efforts are unforgettable. Due to which we are able to extend our help to 30 more families with same budget. Kudos to their efforts. FEEDBACK: - Villagers felt very happy first for visiting their villages which are far away from transportation. Even local Political Leaders and Govt officials hardly visit those villages. We proud of our volunteers for their hard work in every stage of activity. They felt happy as they get food & groceries for 1 month. Local MLA & Political leaders participated and appreciated our activities. Immediately they send 200 Kgs of Rice. The activity ran very smoothly mostly because of Volunteers pre-planning & dedicated efforts. Mr. Venkat Rao, Satyanarayana & Family and all the villagers love and affection along with support is unforgettable. The nature around the villages and villagers pure hearts really touched all the volunteers. Our special thanks to Dr. Sundar garu for providing his Vehicles (Omini, Maruthi Ertica) and giving home for our volunteers. Of course he is our advisory board member more than that he is elder Brother of ASWA Family, so surely he has that responsibility. Mr. Satish from Intenese Technologies for taking initiation in supporting us. Sriram Rahi, Anil & Mohan Vajja played an important role in motivating donations from the above donors by explaining the need. Mr. Rameswar, Intense Technologies Ltd.
Mr. Ch. Anil, Intense Technologies Ltd.
FUTURE PLANS: As intimated earlier we are planning to adopt these villages and extend our help. We will update all the details once it's finalized. My heartfelt thanks to all the volunteers, donors for their direct and indirect support. With all your support we are able to conduct the field survey and came to the following ACTION PLAN. HOW WE ARE GOING TO SUPPORT? MARIKA & PATHA MARIKA Villages nearer to Karaka Valasa Village, Vepada Mandal, Vizianagaram District and located 70 Kms from Vizag. Based on the observations we are going to receive on activity day we are planning to Providing Long Term Livelihood or at least support for 3 more months. · Youtube : channel amma-aswa / file " Hudud Ground Survey 1"
We had memorable time at Aadarana Orphan home for boys. 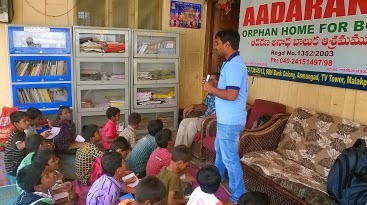 Home located near (TV Tower) Malakpet have inmates of around 50 students who are orphans and semi-orphans. Students were disciplined, and eagerly waiting for us. Mr.Madhava Rao started the home in 2003 increasing his services by maintaining separate home for Girls and trying to provide permanent shelter to all. There we spent around 2 Hours time with various activities like small essay writing, puzzles, tongue twisters, conveying message to others without talking. Distributed old clothes, Fruits, Soaps and more than 100 inspirational books. We start from S.R nagar at 8.00 am. Me(NagaBabu),Anil (from Hyderabad) and Dr.Sundar Sir (from Vizag) visited Vizag nearer villages and 2nd day Me, Anil and along with Venkata Rao garu(from Vizayanagarm) visited tribal villages in Vijayanagaram District and last day me and Anil visited Vizag hilly areas,beach areas and Bhimili and it's surrounding villages. All the observations we mentioned bellow HudHud report. Please go through it and let us know any suggestions and we ll have a discussions in our monthly meet(2nd november @ Dr.Sundar Sir Hospital,Ameerpet, at 5PM). I have chance to go vizag along with nagababu for 4 days. 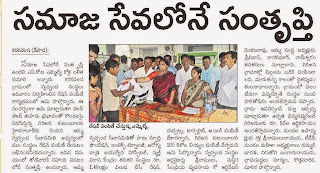 Are you collecting any funds about HUDHUD now? The main effect of Cyclone is falling trees and Agriculture fileds. Theevramina gali valla Chala pantalu nelakorigipoyay(valitlo konni : Vari,Cheraku,Arati,Kobbari ). Deeni valla ekkuva raithulu nastapoyaru veeritho patu akkda nivasinche adivaseeyulaku(Veeru vyavasam paina matrame jeevanam sagistaru, varikosam matrame pandinchukogalaru) theevra nastam kaligindi.Prastutam varu brathakadiniki vere upadi ledu(Ilanti varu 18 kutumbalu unnay). And few NGOs are working for conducting Medical Camps, supporting feeding . So after discussion with theses friendly associations and with our volunteers, we are planning to visit these places (Cyclone affected areas) and observe all these and then we can start the work. So this Wednesday (evening) I am planning to go to visit Vizag and other (which affected Cyclone) areas from hyderabad. So interested ones can contact us. You can contact : 9032840686/9177999263. Its very happy to receive calls/mails from all of you reg Relief activities we can conduct @ Vizag and nearest districts. I really moved with your initiation. Our active volunteers are very interested to go there and extend our help but due to official responsibilities we are unable to do it. So we contacted other NGOs whom we are working with closely. 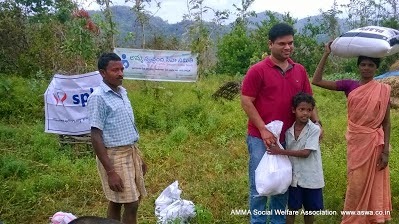 A team from Raitu Swarjya Vedika moved yesterday with 200 Food Packets & Few Blankets to Anakapalli. Today they will do areal survey and will update us on exactly what they are planning to do. Raja from the above team expressed that there are no donors who came forward to support their acts immediately. We promised them that ASWA always extends our maximum support if we are clear on plan of action. Today / Tomorrow we will receive the updates and we move accordingly. People who are interested can transfer their donations to the below bank account now or even after receiving an update. Who ever transferred the amount please send a mail to amma.aswa@gmail.com with your Full Name,Mail Id and Phone No to send RECEIPTS. 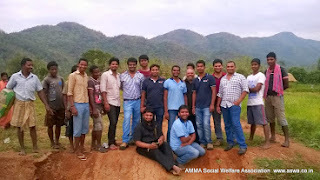 A group of people from my company are going to Vizag for relief activities and donations. 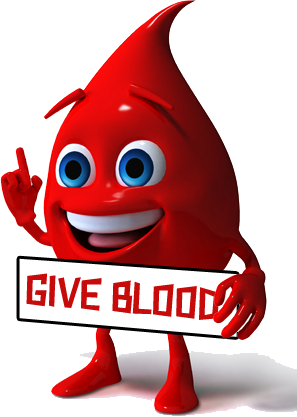 You can reach out to them at 9392601166(Pratap Kumar Gara). I will forward your number to him as well. Is any team visiting VIZAG / nearest places to execute extended support? If so let us know. We are planning to extend our little support. Made to write some English and Telugu words and also made to write names of flowers and birds. Explained about Alphabets, Words, Sentences and Paragraph and Difference between Alphabets, Words, Sentences and Paragraph with Example. 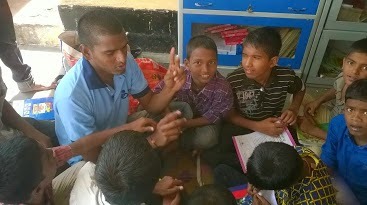 Conducted Words Antakshari game where children learnt 35 English words. 1. Reconducted exam of Telugu as Children were not able to perform well in the previous exam.But This time they have performed well and explained the mistakes done by them in the exam. 1. Made them to write 20 Sarala padalu with Gunintalu and vothulu. In the absence of Haritha and Vikram this week, we have combined mahatma Gandhi and Mother Theresa class and was taken by Me and Sharanya. 1.Made them to write 20 Sarala padalu with Gunintalu and vothulu. 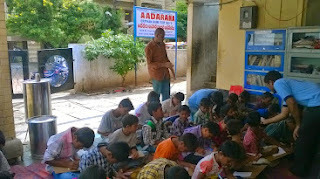 This was the last session of Telugu for Mahatma Gandhi Class, next week we will be conducting the exam of all the session and later we are starting English session for Mahatma Gandhi Class. In the last half an hour we have conducted Quiz competition for both Mother Theresa and Mahatma Gandhi Class combinedly in the form of English hard words. - Asked few G.K questions and paragraph reading. This is our first session with the subject with the complete divided classes and the class held with motto to build social responsible attitude and good decision making skill in the students with a patriotic song and making them to play chess game. Students are asked to write achulu, hallulu, gudinthalu which has been satisfactory. Explained different types of vothulu. Explained the importance of plantation to save the earth and rules to be followed in the class. Home work: ask the the students to write about krishnastami. Explained and made the students to write achulu, hallulu. Made the students to write their names in telugu. - As a part of revision Children are made to write Achulu, hallulu, 4 gudinthalu and 15 sarala padhalu. Ask the students to practice patriotic. We are back to school from a long vacation with all the gained spirits of learning and teaching from the children and to the children. We had a brief summary regarding the summer celebrations from the children and got the information about the children who left the school from there friends. Today's children are not just tomorrows Citizens; they are our Today's Reformers. If we won't channelize them properly they become social evils. We are happy to inform you that this year (2014-15) also we are planning to conduct weekly "Basic and General Awareness Sessions" @ GBES Primary School, Balkampet, S.R.Nagar, Hyderabad. We got motivated by our 2 years progress (2012-2014). We are able to create a bond among us (Children & Volunteers) and transformed their attitude a little. This year we are going to start with new enthusiasm and energy. This is possible only with the efforts of all the Volunteers who are participating and participated in this Activity. Kudos to their dedication, discipline and determination. Based on previous year experiences and suggestions we have taken the following resolutions for this year. We divide children into three groups, for each group we need 2 volunteers, now we have four volunteers who are turning up regularly, still we need 2 more to make this activity more effective.